Believe it or not, sports team mascots actually do have an effect on how the players perform while out on the field. Whether the mascot is silly or normal, they can affect the fans and team in multiple ways, causing them to stand up and cheer more often, build up anticipation, and even boost energy. Mascots are carefully designed to bring the team good luck, despite some being in all shapes, sizes, and various species from around the world. As we said, some of them make sense, like the Hornet for The Hornets. Others just don’t. Here are the ten weirdest sports mascots of all time. 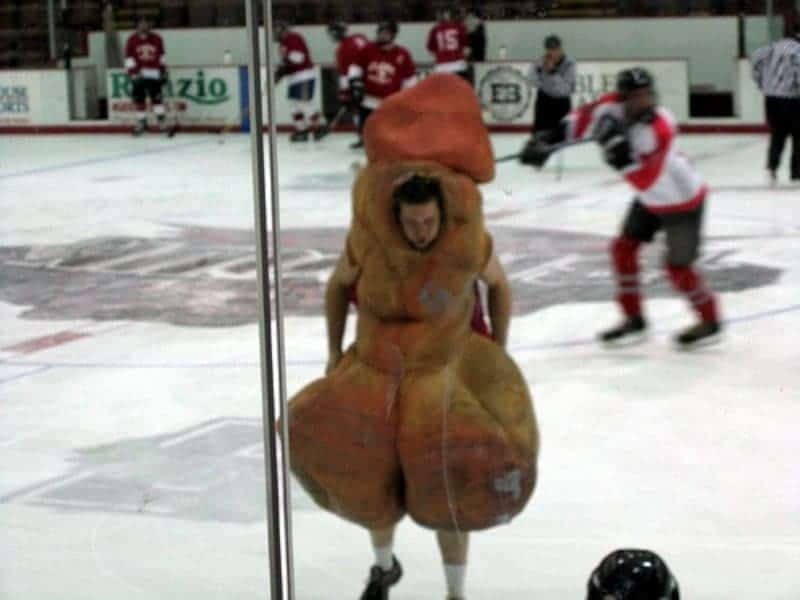 At one point in history, the Rhode Island School of Design had their own mascot for the men’s hockey team, who were known as “The Nads.” The mascot was named Scrotie. The mascot was hilarious, but banned. 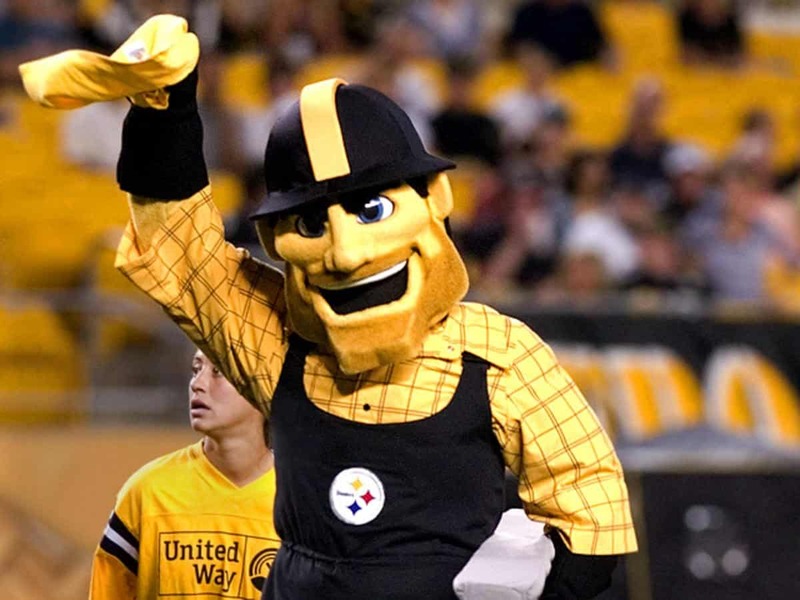 For those who love the Pittsburgh Steelers, Steely McBeam is probably remembered as one of the most infamous, ridiculous mascots ever. He was dressed as a steel worker with a big jaw and a shadowy beard, all while carrying a big steel beam. 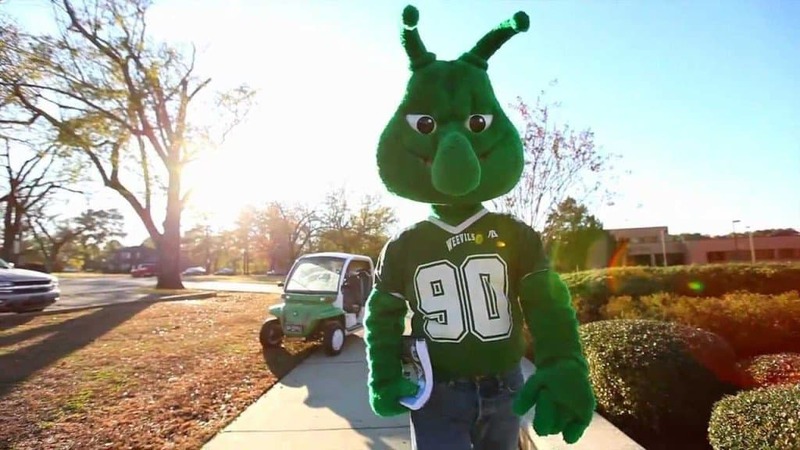 The Boll Weevil was the official mascot for the University of Arkansas at Monticello’s baseball and football teams. The mascot was actually more intimidating and destructive, so the school may get rid of him for good. 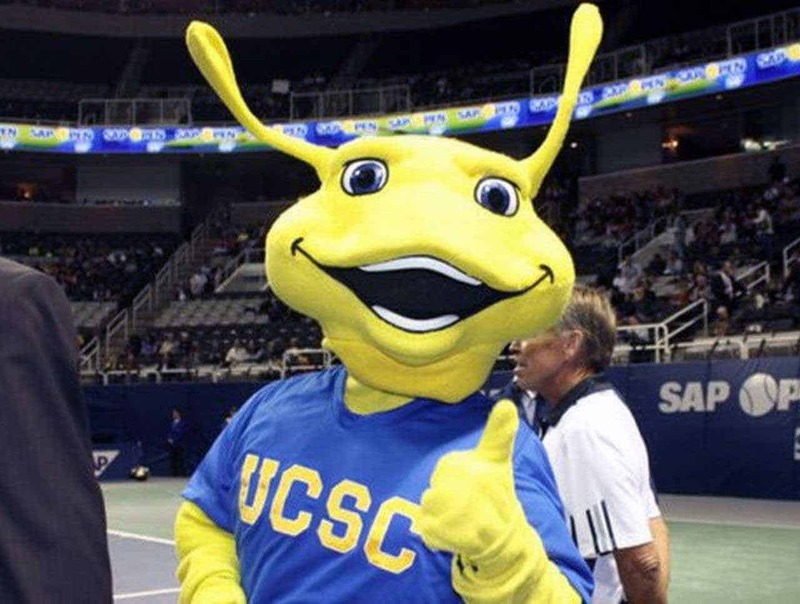 Sammy the Slug has his home at the University of California at Santa Cruz. The mascot was supposed to be flexible and non-aggressive, which they achieved. Basically, it is a slug, though, which is not very motivational. 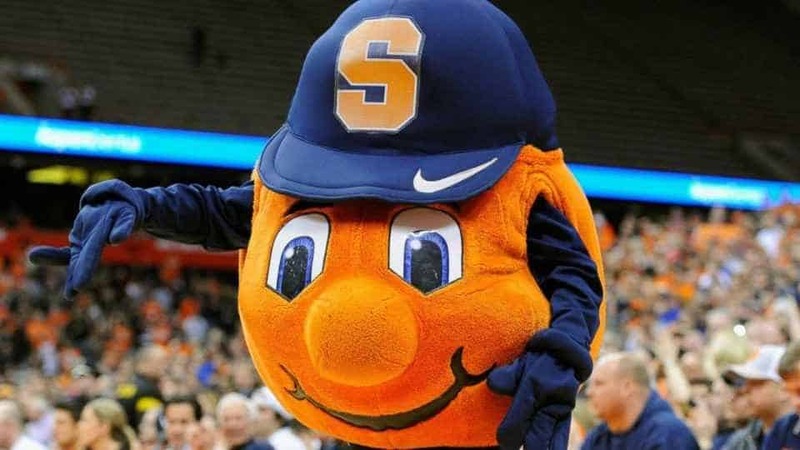 Syracuse University, of New York, is famous for their giant orange as a mascot. Otto the Orange loves to dance and shake his orange booty for the crowd. Oddly enough, an orange does not put the fear of the home team in the opponents. 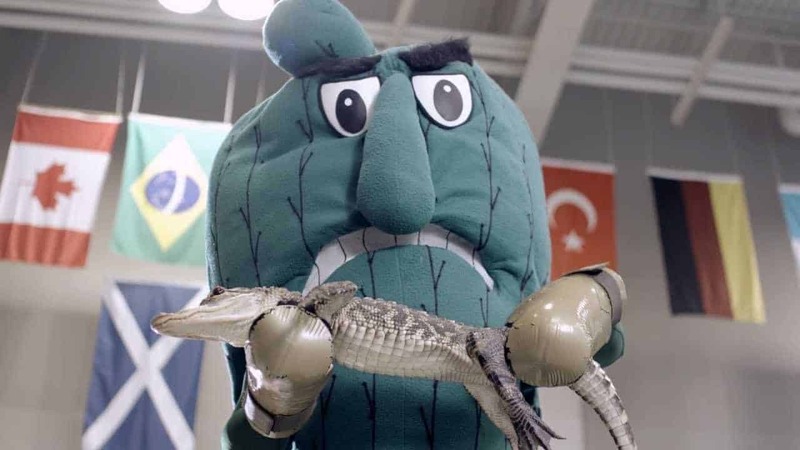 Okra is probably one of the least terrifying foods of all time, so we’re not sure why Delta State decided to go with ‘The Fighting Okra’ as their official school mascot. 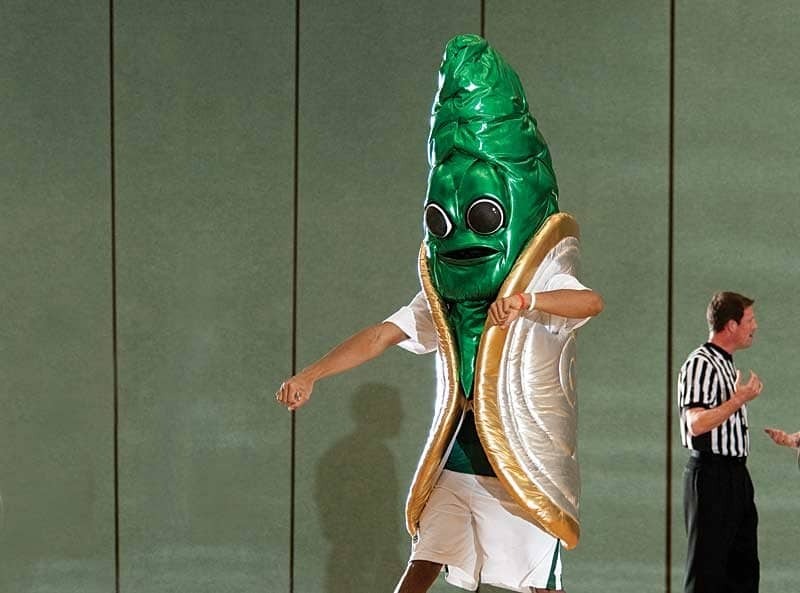 He just keeps chanting “Fighting Okra!” throughout the school’s games. The Geoduck, which Washington State decided to pronounce as “gooey duck,” is not a bird at all, but a mollusk. The clam is big and colorful, striking absolutely zero fear into the other team and barely motivating the home team. 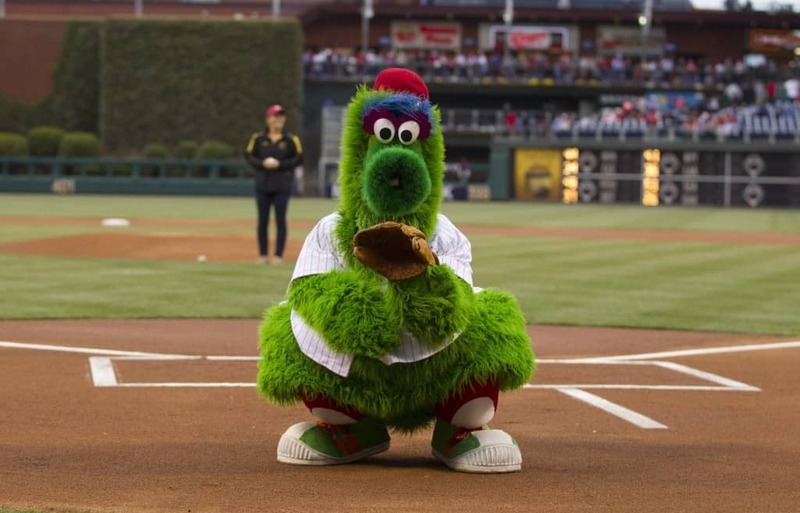 Anyone who enjoys It’s Always Sunny in Philadelphia should know the Phillie Phanatic, which is an unusual mascot for the Philadelphia Phillies. This monstrosity is beloved, but has a cylinder for a nose and a tongue that is always sticking out. 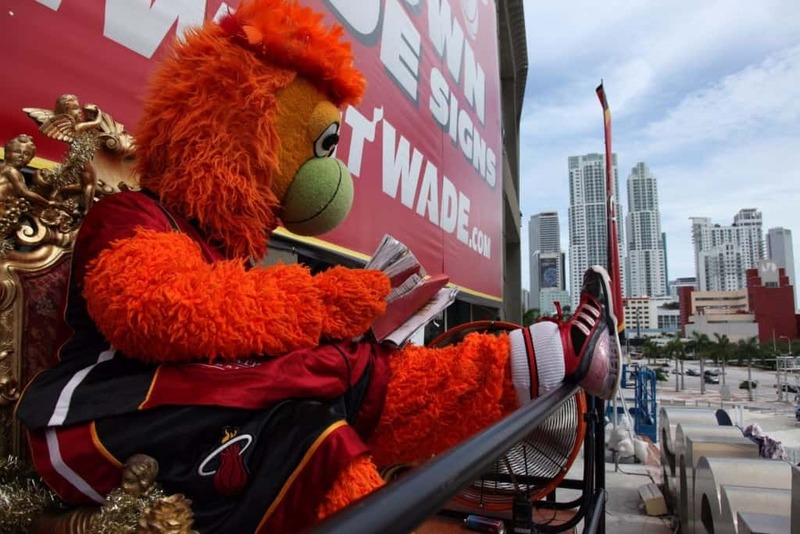 Miami Heat has become known for their mascot more than their playing skills. The mascot is Burnie, which comes in the form of a giant flame with a green basketball as its trademark nose. The mascot has even been charged with aggravated assault from an incident during the game. 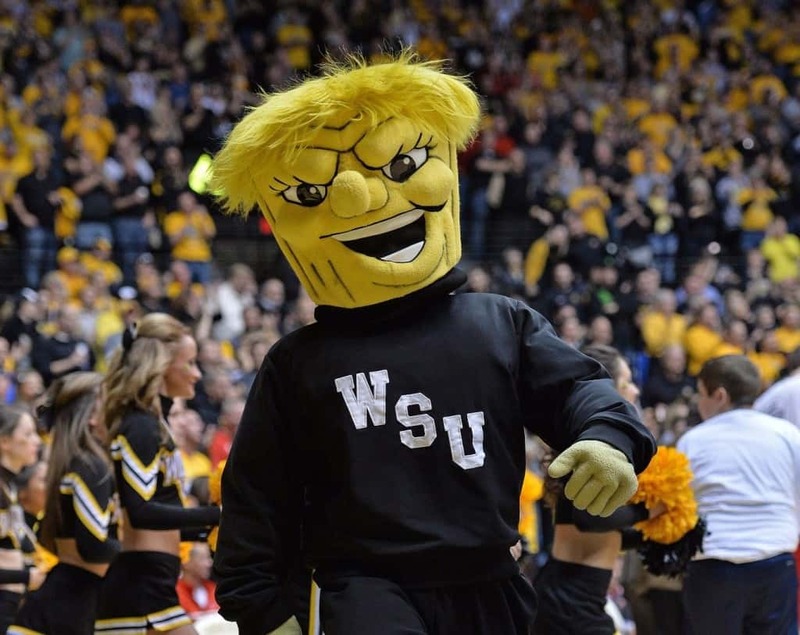 Wushock, the official mascot for the Shockers at Wichita State University in Kansas, has been the official team mascot for over 60 years now. Despite being nothing more than a shock of wheat – a farm crop – the mascot is quite popular.